My wife and I have been together since our early 20s. We dated, got engaged, and married, and by age 27, had our two children. We are now in our mid-40s. We just took our oldest to college out of state, and our youngest is starting his senior year. If you had asked me a year ago, I would have said we have an incredibly strong marriage. We have been great parents together and raised two amazing children who are smart, hard-working, strong young people. Raising them, we had years full of soccer games, camping trips, family vacations. The fact that our intimacy decreased didn't scream a huge alarm to me — it seemed like something most couples go through as they get older and become parents. Our oldest leaving for school hit my wife hard. She was truly anguished and depressed at times. I tried to reassure her and remain focused on the fact that we have one more child yet finishing up high school, and that's when she said, "After that though, we have nothing." I brushed it off at first, but I started thinking about this statement and realizing how true it is. We have let our marriage become all about the kids. In fact, all we really talk about are the kids. All we do is stuff for the kids. And now that our daughter is gone, it was literally like we instantly had half as much to say and do, and I am terrified thinking what will happen a year from now when our son moves on. I feel like our marriage is over, like we sabotaged our happiness by being too focused on our kids, like I don't even know my wife anymore. I'm not ready to totally let this go but I don't know how to fix it, or how to reconnect. Most of our friends had kids after us, or not at all, and I don't really have anyone to go to on this one. Help? Empty Nest Syndrome is a real thing. When teenagers leave home, parents may feel incredibly sad and a deep sense of loss — and they may also turn to their partners and feel thrown off-orbit now that the centers of their universe have headed off to a new independent planet of young adulthood. You may be so consumed worrying about your wife's emotions around your daughter's departure that you aren't considering your own complex feelings around the transition; be careful not to neglect yourself there. That said, it's noteworthy and admirable that you're looking ahead and seeing how the imminent departure of your second and final child might throw your happy home off-kilter. 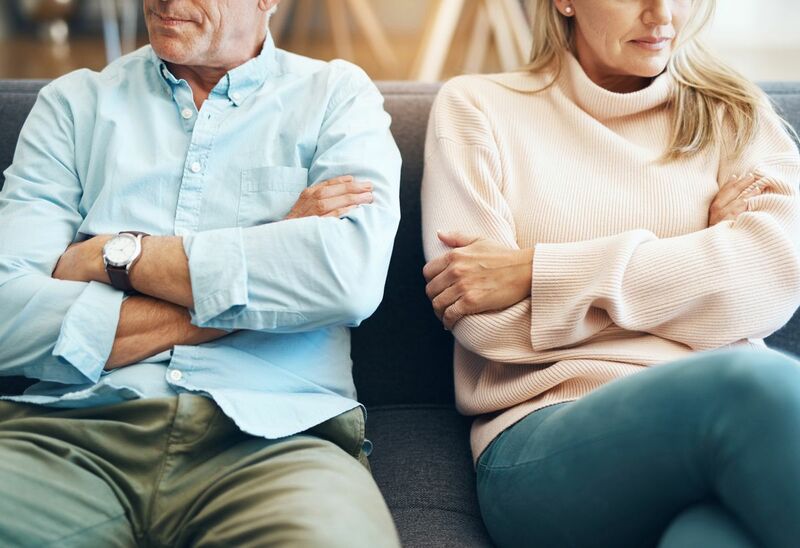 It's true that empty nesters sometimes end up divorcing, feeling adrift and disconnected with the absence of their kids, the essential decade-plus glue of the marriage and family unit. But the good news is, this is a very preventable divorce. You aren't disconnected because someone had an affair, or fell out of love, or discovered some transformative new spiritual path, or just turned out to be a selfish jerk. Nope, you're sensing distance because you both mutually love your children so darn much and you're feeling ungrounded with the vanishing of this nucleus. What to do? Reconnect. While the kids leaving can be traumatic and sad, it's also a great opportunity to seize back your lives as independent adults, and to rediscover the hobbies and shared interests that first bonded you together. Think about what you had to give up when you had kids. Were there once spontaneous after-work hikes, or weekend getaways, or lazy Sundays in bed, or maybe just going out for a beer and talking about your day? With the kids gone, you can take back these fun grownup activities and more! Try to remind each other why you first fell in love and find ways to work that original magic back into the foundational fabric of your union. Anyway, just think about having so much of your time and energy and gas and sanity back! Did someone say dream vacation? Yeah, it's not going to be as easy as dumping the youngest off at college and boarding a cruise ship. You're heading into uncharted waters and you've both recognized that there are rough seas ahead. That's a good thing. Also good: you don't have to take this journey alone. There are professionals to guide you, and I'm not talking pirates. Now that one of the mouths you have to feed is far away from your refrigerator, you and your wife can invest that grocery money into therapy: individually and as a couple. You've got a whole year before the youngest leaves to do some real work that's focused on you two, and not just your kids. You can get clarity on where you are now and why each of you feels the way you do, and get a better understanding of where you are going and what life will be like when it's just you two alone together again. It's scary, but it's also exciting. It's hard work, but it's also rewarding. And you haven't waited until the ship is sinking and the sharks are circling before you've sent out a distress signal. Enough nautical nonsense … Don't wait. Don't make excuses. Call some therapists, commit to communication, stay positive and enjoy this year with your child and with each other. Good luck.